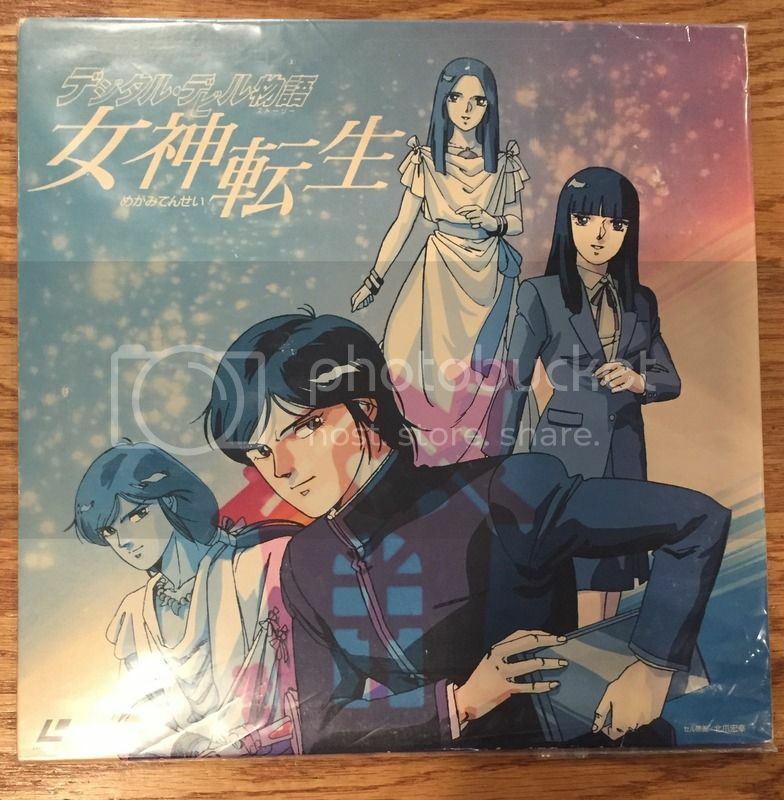 racketboy.com • View topic - Found An SMT Digital Devil Story LaserDisc?! I can't seem to find any info on this at all. I don't even see anywhere that says there was an anime made for the first MegaTen game on the Famicom. I'm assuming this is an anime, but it could be a drama on LD. It's not the soundtrack because a) that looks different; and b) every track listed is called a chapter. Anyone know what this might be worth? Re: Found An SMT Digital Devil Story LaserDisc?! Yeah, there's a one episode OVA. I think I watched it last year and forgot about it the next day. Thanks for the info! Wiki doesn't even have the anime listed as far as I could see. Yeah you might just want to ask around AnimeNewsNetwork about it, they might be able to help more. No idea if it's worth something or not.